My Machu Picchu adventure was more amazing than I had imagined it would be. Paul and Gilbert made it a trip that I will never forget. Paul was extremely informative and made every step well worth it!! Paul's passion made me feel as if he was experiencing every step with us for the first time. The trek was tough, but amazing and worth it. Paul and Hilton did a great job making sure that everyone was able to complete the trek and were encouraging every step of the way. The food was exceptional and the porters were top notch. Amazing tour! I learned so much along the way and wouldn't change a single thing. Paul had so many interesting facts throughout the tour and the way he related to each of us individually is something that I've found to be hard to find in a tour guide. 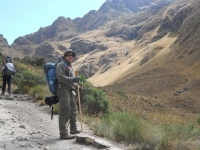 The Inca Trail was an incredible experience that I shall never forget and this was in no small part down to the hard work of Inca Trail Reservations. I can safely say that my trek with Inca Trail Reservations is one of the best things I've done in my life. I really enjoyed the four days I spent with Paul and his crew. Walking past other groups on the trail, it was obvious that we were being shown around by one of the best guys in the business. I had an amazing time on this journey to Machu Picchu. We were definitely extremely lucky to have such amazing tour guides (Paul and Hilton), they were always more than happy to answer any of our questions and had an advanced knowledge of the entire area of the trek. This one in a lifetime experience is one I will never forget, Paul and Hilton were great tour guides. The food was absolutely amazing, better than many restaurants in Cusco. Concurring one of the seven wonders of the world has been something on my bucket list for some time. Finally being able to check that off has been nothing less than amazing. Simply put, an amazing adventure! The trail itself is so beautiful and filled with such intriguing history. The four days and three nights spent in the various valleys, mountains and jungles with our tour guides Paul and Hilton couldn't have made for a more fun, adventurous and emotionally filling vacation. 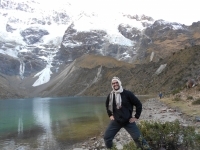 Last week I did the Salkantay trek. It was a hiking trek which lasted 5 days. The first day we hiked to a place with a beautiful lake! It was an amazing view up that mountain. 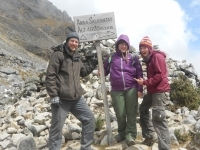 The next day we climbed up to 4600 m. That might seem crazy, but it was worth the while. 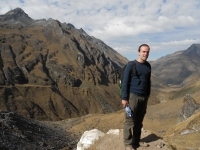 The Salkantay trek is a great experience! Salkantay is a mountain which you see throughout the hike. The hike itself varied from day to day! 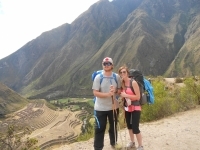 We've seen mountains, jungle and of course Machu Picchu! That is still to come! The trek was an amazing adventure! I got to meet people from all over the world and varying walks of life. We started out as complete strangers but by the last night we were drinking together and treating each other like old friends. 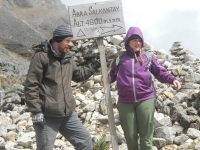 The Salkantay trek is truly recommended, the trip is a diverse and moderately challenging week. 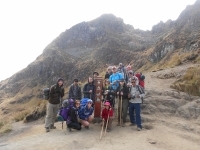 We covered an array of different terrains, from glacial lakes to jungle and were well looked after by our guide Raul and the rest of the team. This was a great trek! Our guide was very helpful and helped us all the way round. The equipment we hired was of a good quality and the staff in the office were always quick to respond to any queries we had.